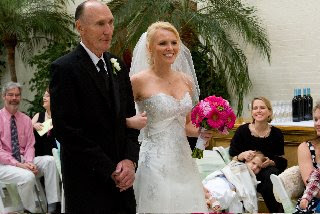 Here is a sweet, elegant, spring wedding where Sisters designed the flowers. 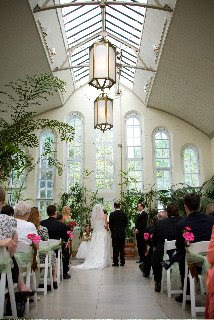 Karen, the bride, chose the Piper Palm House for both her ceremony and reception this past May 24th. The ceremony was held inside and the reception was in an outdoor tent next to the ceremony. A big team of vendors helped make this event beautiful. 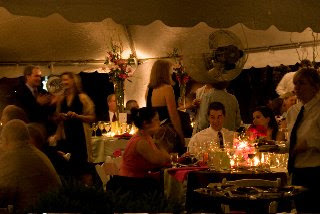 Exclusive Events helped with decor and lighting. Patti, from All Dressed in White, coordinated the event and was on hand that day to make sure everything went smoothly. Kudos, Patti!! All photos courtesy of Wagner Photography. All bright pink gerbera daisies and peonies were carried by the bride. 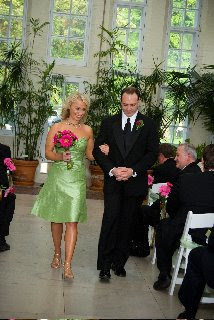 Bouquets of hot pink gerbera daisies and spray roses with jade berries accented the bright green bridesmaid dressed. 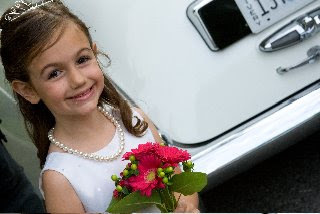 Even little ladies like flowers! 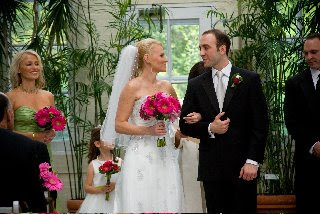 Tall and short garden-y arrangements of curly willow, alstromeria, orchids, and lilies tied in the bright colors from the ceremony. It was a beautiful day for a beautiful wedding!